If you’d like to read an interview I did with LitJuice, you can click here. Otherwise, let’s get back to our regularly scheduled programming. I don’t collect things. Sure, I buy things, and sometimes there is a sentimental reason why I keep them around, but collections imply that something you cared about is worth keeping around independent of whether you have lived or died. It’s a sad thought, really. Thank God she hoarded those silver thimbles, because they’ll pay for her funeral. And then you’ve got nothing. A hole in the ground and no thimbles. But a girl will go almost anywhere when it’s raining and she blew a tire on her bike. Even a secondhand shop with no cars in the gravel drive. 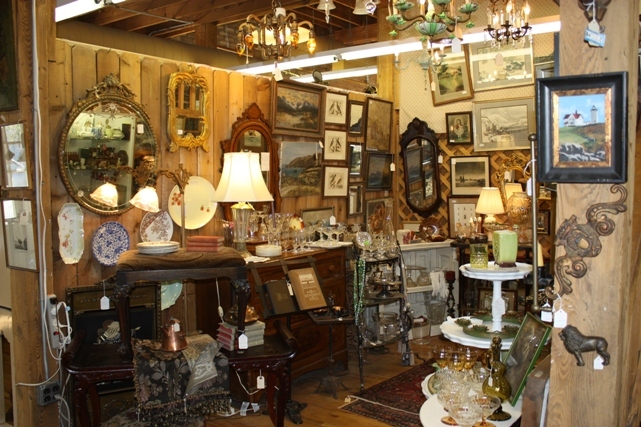 It was one of those clustered old farmhouses that calls itself an antiques mall to attract the tourists driving through Connecticut on the way to a scenic byroad. Bleach-blond soccer moms naïve enough to believe that they could discover some secret Americana treasure worth millions in a town too small to boast its own Starbucks, and wow everyone at the Antiques Roadshow. To my knowledge, they never did. But then again, I don’t watch Antiques Roadshow. The door was open, and I found myself draped in the musk of the dead and dying, teetering on all sides with half-formed china sets and mucky saucers, a tumble of children’s books, a spattered mirror that didn’t quite reflect, and something that might have once been a pile of quilts. It was dank, and close, and there was probably mildew, but at least I was out of the rain. There didn’t seem to be anyone there. I expected at least a sagging old woman with a saddlebag face, appliqué on her sweater and a life behind her, waiting for something and watching other people trade their hours for the detritus of souls that couldn’t manage to keep their relics alive. I thought about how easy it would be to steal something from the unattended shop, before I realized what a futile thing it was to steal from a graveyard. Wandering was difficult. There might have once been aisles, or at least threaded pathways through the grim and untouched mountains, but the territory was now uncharted through landslides of patched, stuffed toys and spring-like things, a box of buttons and a tangled nest of costume jewelry, bright and plastic and garish in the swinging light of a bakelite shade that had seen better days. In a laminate curio there were vases, impostors of the great houses frozen in postures less than graceful. Mass produced elegance for the housewife who had run out of luck. For the aspiring; for the sad. For the ones who faded, they may have stood proudly in a spotless parlor, clear vinyl over orange brocade, where starched and brushed up cousins would sit stiffly at Christmas and wonder why doing so was the highlight of the year. I touched one. The little lid rattled, and I had to catch it as it fell. It was plain, and white, and ribbed a little, bulbous protrusions curving upward between the incised bones, and from the top there was a bit of yellowed something: a sheet – paper? No, more plastic. From the age of the invented, the fabricated, the fake. I picked it up and peered inside, curious, for once, about the dim innards of something that took effort to see. It was a bag, twist-tied closed, and filled with ashes. How I knew they were ashes is irrelevant. There is something about the human form, even when reduced to dust, that is instantly recognizable. The lack of heft was frightening; the lack of meaning more. There were no words. There was no label, no explanation, except for the obvious one. Someone had forgotten. Someone hadn’t cared. Someone had passed off a person to the second-hand store, disconnected, disembodied, disused, and disgust. I could have philosophized. I could have been outraged. I could have taken it home. I could have asked the woman who materialized from behind a half-hearted counter where the vase had come from, but I knew she wouldn’t know. It wasn’t a special object, and neither was the person inside. There was something comforting about it. Whoever it was, they were gone. They were not trapped by tombstone or duty, tied to a place by habit and a passing remembrance, diminishing through the years to a pinprick of nothing, but never allowed to die. I could have taken it home. I could have put it on my shelf and stared at it every now and again until the startling rawness of reality wore down to a comfortable familiar fondness, like an old friend from camp that you’d rather keep a memory. But it had a shelf. And it had no memory. And I wiped my fingerprints away before placing it exactly inside the clean circle underneath its footprint, not wishing to leave a trace. I nodded to the woman, who stared blankly back, hoping to convey that she had a very nice selection, but I wasn’t in the market for tarnished belt buckles at this time. She didn’t acknowledge, and neither did I, that the warped doorstep was a liability. It was unlikely anyone would make the trip. She knew, and I knew, that the disconnection of wood from wood was as temporary as the ashes, in a futile sort of way, and she wasn’t the type to collect complaints. The rain was worse when I left, because it washed away the clinging cloying of expired perfumery and silver polish. I was the same as when I entered, dripping and frazzled and silent, the cool ceramic fading from my fingertips as the oddness faded from my mind. There was a mile to walk before towels and tea and wrinkled skin above the radiator. There were ashes at home, if I could face them, and second-hand words, bright and bakelite. And as I crunched down the path to the garage in the back, I thought about plastic, twist-tied closed, and I wondered if I would ever be so lucky. ← Wait, there were HOW many self-published books in 2012? !